Optional extension: students take on the role of organisms such as predators, prey, or plants within a specific ecosystem. Each group is assigned different survival needs, provided by the educator. Students hear from an Elder who speaks about how he used to go trolling (fishing) for salmon with his relatives when he was young. He recalls that they noticed the salmon were moving farther offshore into deeper water. They suspected it was because the water was warming. 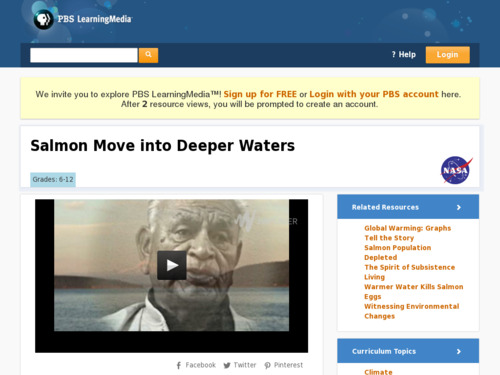 A good background essay and discussion questions accompany the video. Video is best viewed on desktop. Can also be downloaded.